Brahmanandam Kanneganti (born 1 February 1956) is an Indian film actor and comedian, known for his works predominantly in Telugu cinema. He currently holds the Guinness World Record for the most screen credits for a living actor. He was honoured with the Padma Shri, for his contribution to Indian cinema in 2009. Brahmanandam is regarded as one of the finest comic actors of India, noted particularly for his comic expressions. He has acted in more than 1100 films till date and has been one of the highest paid comedy actors in Indian Cinema. 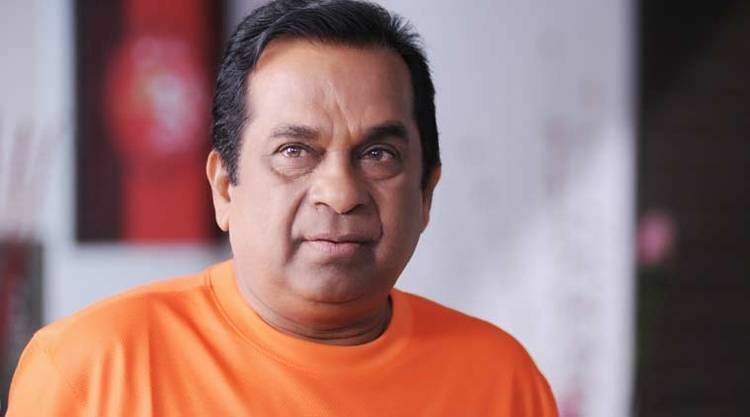 Brahmanandam has garnered five state Nandi Awards, one Filmfare Award South, six CineMAA Awards, and three South Indian International Movie Awards for best comedy. Race Gurram (2014) was his 987th film. In January 2009, the government of India bestowed the title of Padma Shri, the fourth highest civilian award, on Brahmanandam for his contributions to art. CineMAA Award for Best Comedian - Manmadhudu, Dhee, Konchem Ishtam Konchem Kashtam, Adhurs & Dookudu. Siima Award for Best Comedian - Dookudu, Baadshah & Race Gurram. Brahmanandam acted in more than 1000 films. Below are his selected filmography.